I can’t believe this is the last week of Beauty Month on Loftiss Says! I still have 1 more giveaway up my sleeve so keep your eyes peeled for that. Again congrats to Lindsay & Amber on winning your goodies. Everyone seemed to have a million comments about my last Coconut Oil post so I figured I should do a follow-up! Many people asked me to share my hair mask how-to. Also I have been dying to telling you about oil-pulling that I started this past week. Ummm what is that you might ask? It’s when you put a dolp of coconut oil in your mouth and swish. My friends Stella and Krista insisted so I thought I’d give it a try. PPPsssst it’s awesome. Let’s get started on these two experiments friends!!!! What you need: Coconut Oil, 2 hair clips, shower cap and hot towel. 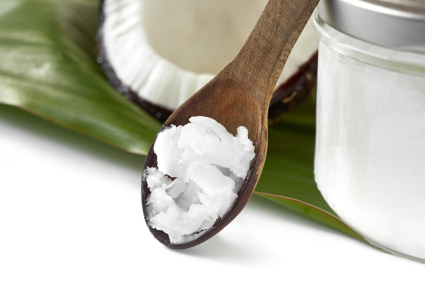 Scoop up a big ole handful of coconut oil. The oil will automatically begin to melt in your hands. I suggest getting in the shower in ratty pjs for this little adventure. Rub the coconut oil together to liquefy. Flip your head over and go from scalp to tip. Keep applying the oil til your entire head is saturated. Really focus on dry areas. It doesn’t matter if you use a hair clip, bobby pins, rubber band etc…. just twist and pin! 3. Cover head with shower cap. Now this is where people do things differently. I’ve read people let their hair sit for 30 mins and then apply a hairdryer for 15 mins. That seems tiring to me. I simply place a shower cap on my head then pull out a small towel from the dryer and wrap around my head and clip. That why my hair still gets the benefits of the heat. I just watch tv or blog for the next 45mins- 1 hour. 4. Now it’s time to wash your hair. You probably have to wash it twice to rinse away all the oil. You don’t really need to use conditioner and if so just on the ends. Viola! You’re hair will be silky magic! Seriously you will see a major difference. How easy is that!?!?! I had an audition the day after I did my first mask and the curling iron wouldn’t hold an ounce of curl. But my hair is bone straight naturally so all you friends with wavy, frizzy, curly hair the result could be different for you. I definitely suggest trying the mask just make sure the next day you can wear your hair down! Get ready to be AMAZED!!!!!! 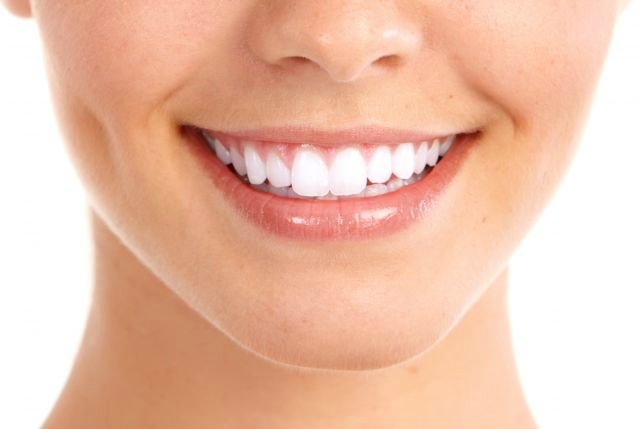 So if you want to whiten your teeth the natural way this is incredibly simple and an effective way. Also it helps brighten your teeth, fight gingivitis, halitosis and reduce plague. HOLLA! 2. Swish the oil around your mouth for about 10-20 minutes. I have done it in the shower and while applying makeup. Basically mindless work while you wait. Put the oil in your mouth, swish it around and try to “push” and “pull” the oil between your teeth. DO NOT SWALLOW THE OIL! Spit it out. It’s becomes toxic -I was told to spit in the toilet. IT REALLY WORKS! I NOTICED A DIFFERENCE THE VERY FIRST TIME I DID IT! The first 5 seconds you might want to gag. It is a very odd feeling to have a clump of oil in your mouth. If you can push through those first few moments you will be amazed. My teeth are SPARKLING!!!!! Did you learn anything new? Are you ready to try these two tricks? Fill me in on everything friends!!!! Look forward to seeing you next week for my monthly “Wedding Talk” post and more! And don’t forget to check out my other Coconut Oil post here! Happy Hump Day! Tags: beauty, coconut oil, coconut oil benefits, coconut oil pulling, coconut oil uses, natural beauty, natural remedies, teeth whitening. Bookmark the permalink. Previous post ← Loftiss says “Make It Work” Monday: Memorial Day- A Thank You!